Hi guys! Happy June 1st. I want to greet students/pupils a welcome back to school! LOL. Okay let me get this straight, earlier this morning I was surprised that I got a windows icon right below the task bar. I have Windows 8.1 Pro . So when I hover my mouse pointer on that icon, it says that “Get Windows 10”. 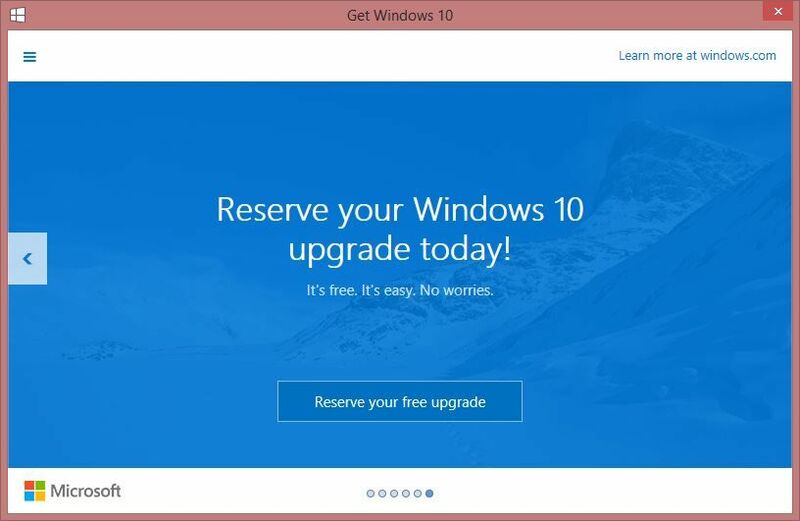 SO, I got over excited and called Erwin for this and told him that I got a “Get Windows 10” and asked him too if he got one already and he just said “No” :(. All you have to do is enter your email (of course your Microsoft account) to get your confirmation. If you right click the Windows icon you can see the following options.